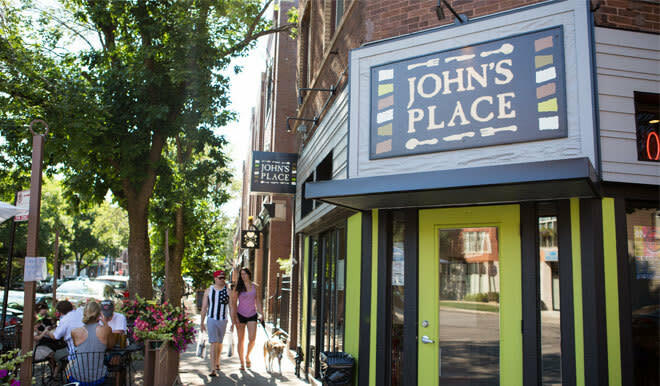 Since 1994, John's Place has been serving soothing, home-style cuisine with an eclectic twist. Whether you come for lunch, dinner or weekend brunch, you are sure to get a great meal served in a soothing, casual setting. In the summertime, enjoy our popular weekend brunch while soaking up the sun in our lovely sidewalk café. In the colder months, let our hearty comfort foods and fireplace warm you up. In any season, John's Place strives to satisfy with our delicious food and inviting atmosphere.